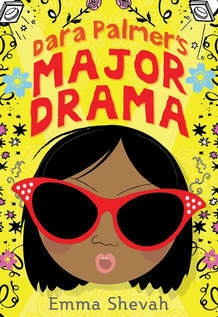 Author of highly-acclaimed middle grade books including Dara Palmer's Major Drama and Dream on, Amber! 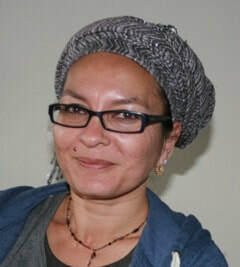 Emma Shevah is the author of three middle grade novels, a novel for early readers and news articles for a number of publications. She is an experienced, professional speaker offering funny, highly engaging and thought-provoking talks in universities, schools, libraries, businesses and festivals in the UK and abroad. Her books and talks focus on being different, issues of belonging, families, aspirations and dreams, dealing with challenges, coping with adversity, changing the world for the better and helping one another. Emma has a Joint Honours Bachelor Degree in English Literature and Philosophy, a Masters with Distinction in Creative and Professional Writing and qualifications in TEFL, and Women and Leadership. Since 2013, she has hosted the Literary Club in NYU in London and she also teaches at a prominent, independent girls’ high school in Chelsea, London. For more about Emma, visit emmashevah.com. An Appointment with Your Inner Warrior has a focus on Japan, samurai and story building. Cambodia, Adoption and How to Win an Oscar is about Emma's trip to Cambodia and the true adoption story of the girl she based Dara Palmer on. Emma also has more general presentations on: Creating Characters, Editing Your Writing, Where Ideas Come From and How to Create Stories Around Them, How Football (soccer) and Cake Are Like Storytelling, and a Careers Talk on Being an Author.